990 grams of the highest quality carbon monocoque, a top-of-the-range aerodynamic frame, 12-speed wireless transmission, a thin layer of magnesium and aluminium fluoride pigments, and a unique iridescent effect. These are the ingredients we've put together to make the new IRIDE GREY colour for the Cento10PRO, the model used by Pro Teams. 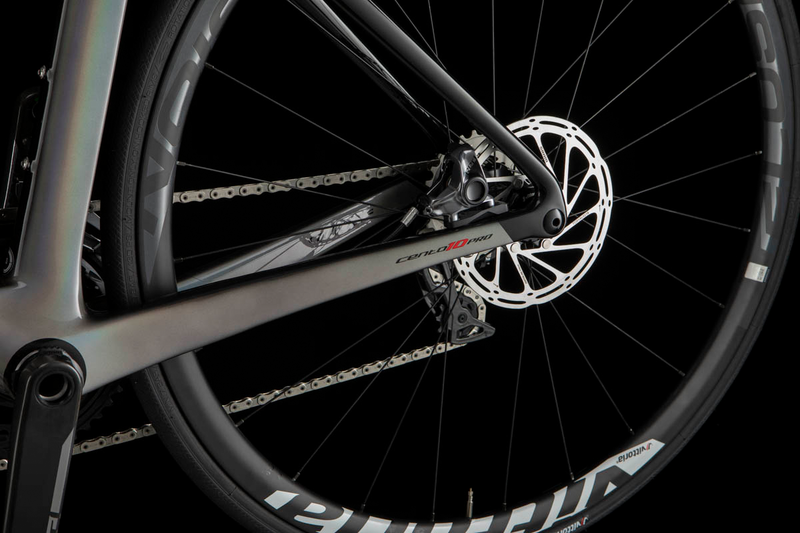 This is the new finishing for our state-of-art, aerodynamic racing bike, specifically created for the launch of the 12-speed Sram Red eTap AXS groupset. 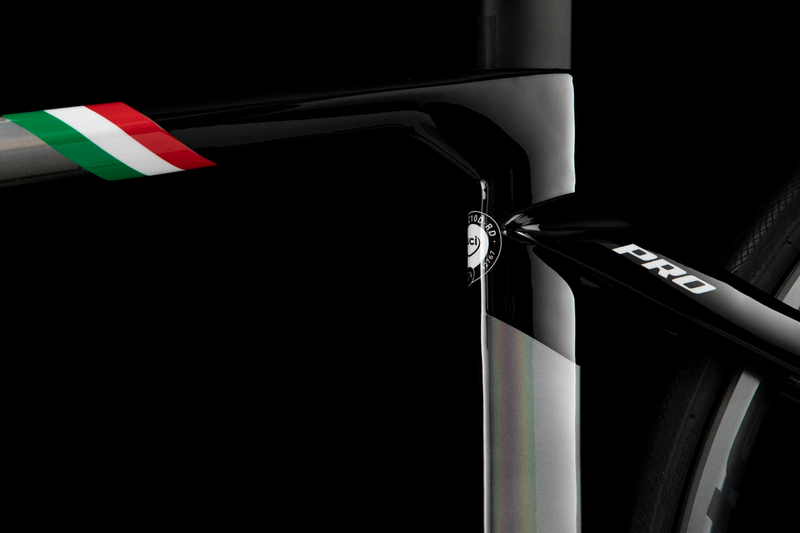 The frame's unique paintwork shimmers with reflections when you look at it. 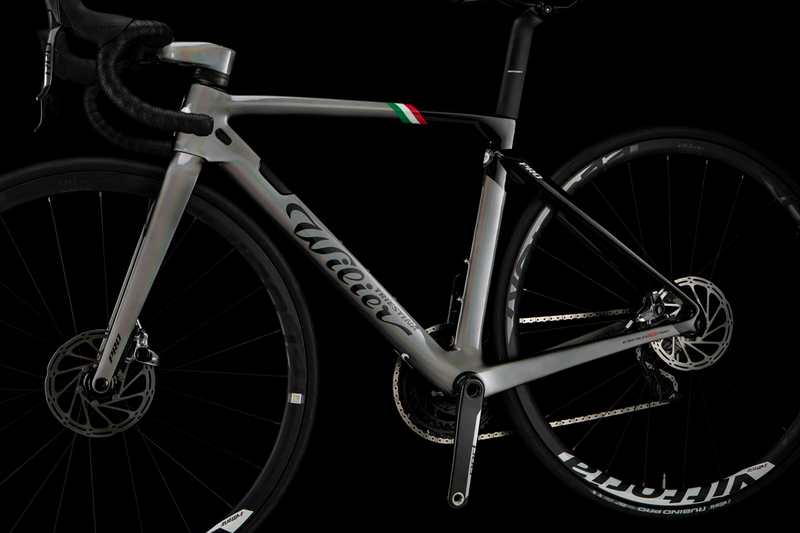 Combined with the silver finishing on the drivetrain, it makes Cento10PRO IRIDE GREY a rare jewel in races. Only an expert painter with skills and dexterity can control the thickness of the fine film of the special iridescent paint, essential for that 3D effect that covers the frame and highlights all reflections. In lower light the effect is grey and metallic. In bright, direct light, the effects are vivid, with rainbow reflections. The black paint fades onto the iridescent surface at the end of the painting process giving the frame a depth and dynamic look. Like for other special colours, the IRIDE GREY is offered at a special MSRP price that is € 500 upcharge from standard colors. 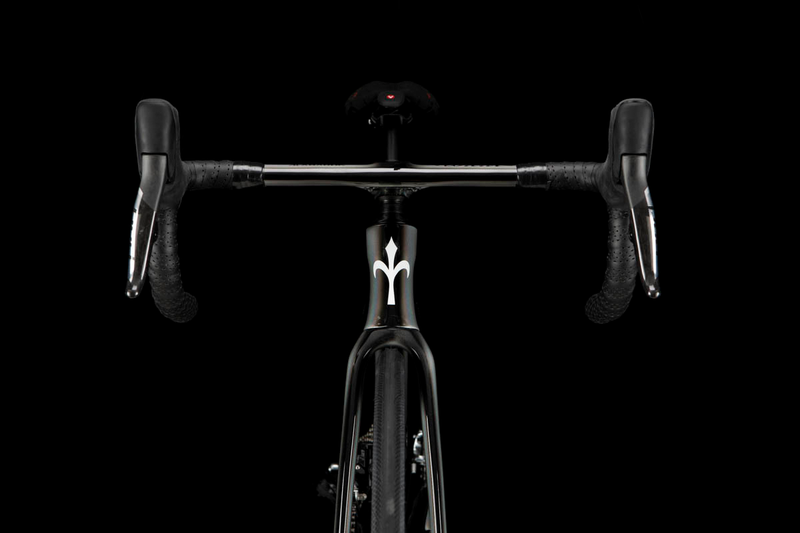 This upcharge includes the handlebar ALABARDA with the same IRIDE color. 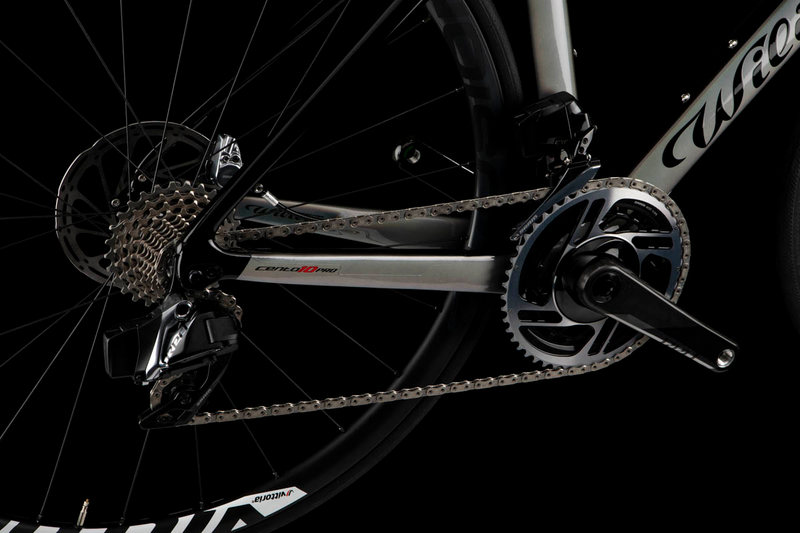 Cento10PRO IRIDE GREY will be initially available only with the new group set 12speed SRAM RED ETAP AXS DISC. How is the iridescent “iride” effect obtained? The iridescent “iride” effect appears due to the phenomenon of diffraction that characterises certain materials. Light enters the pigment’s crystal lattice and is broken up and divided into many colours, according to the same principle that produces rainbows. How is the colour applied to the frame? Various operations are required to produce the IRIDE GREY colour. A base coating is applied to start with, then the IRIDE GREY colour is sprayed on, and finally a black shade is applied to certain sections..
What is the effect of the IRIDE GREY colour on the total frame weight? Various layers of colour must be applied to obtain the characteristic of the IRIDE GREY colour, inevitably increasing the total weight of the frame. What special measures need to be taken with this type of colour? As with the whole chrome colour range, this colour is particularly delicate and requires particular attention. The bike should not be washed with aggressive detergents that may damage the paintwork. The paint is also susceptible to scratches and impacts that may cause the layers of colour to chip off. How did the product originate? How much does the Iride Grey colour cost? A €500 upcharge increase over the MSRP with respect to the standard public price list is applied for the Iride Grey colour (colour code D12). 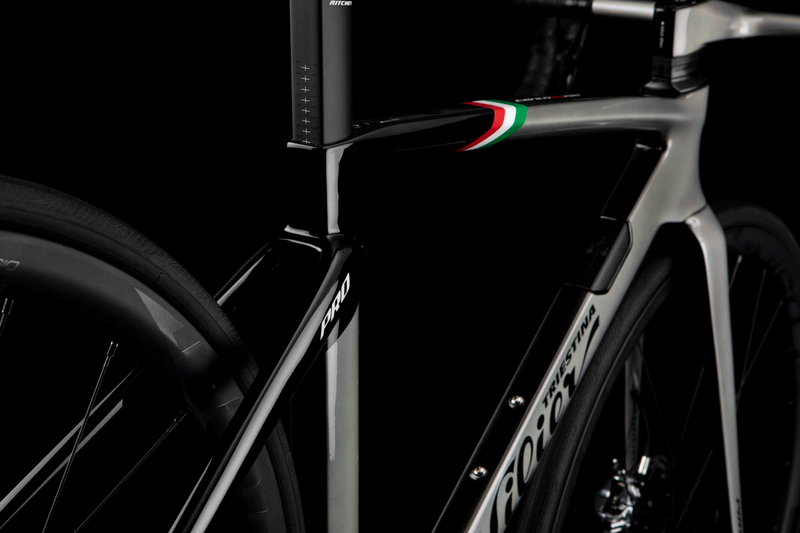 The upcharge price also includes the special colour on the Alabarda handlebar.